Use this book to take a guided tour of Tasmania. You'll have all the information about rest stops and free campsites along the way. This book is packed full of information on 130 sites. Wonderful beachside, riverside and forest campsites where you can either camp free of charge, or for a minimal fee. Best of all, you can take your dog, cat or other pet along with you! Clear directions and locality mudmaps guide you to all these wonderful, out of the way places. There's also a description of what you'll find when you get there. 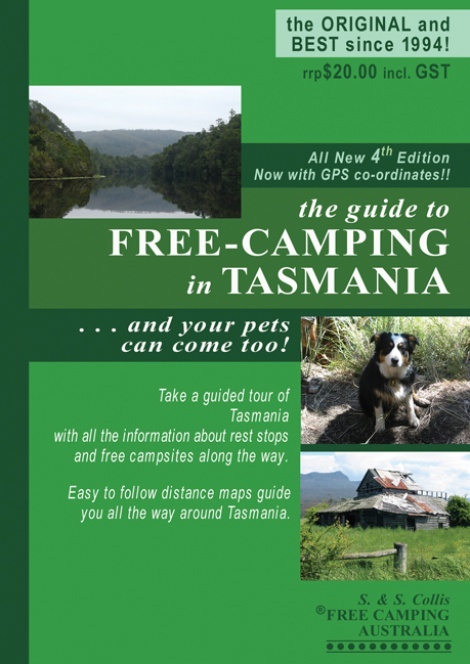 This book is a must if you want to experience the best campsites Tasmania has to offer! For International Postage see the Product List.